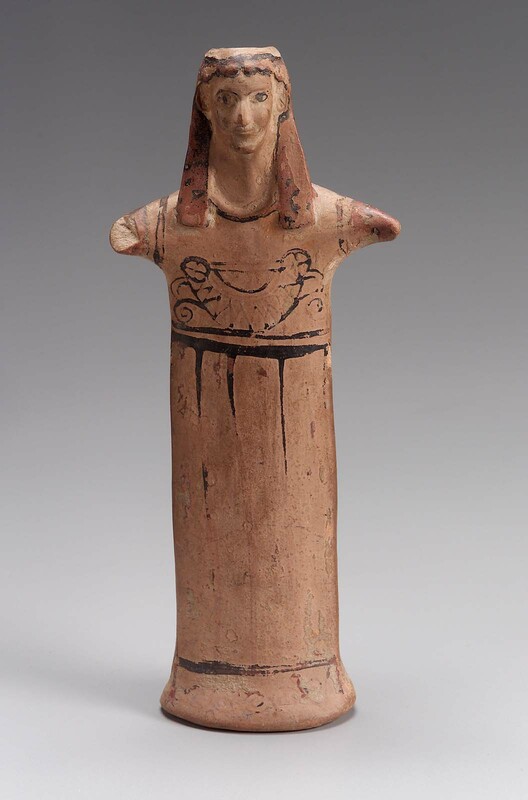 Statuette of a standing goddess. Body a slab of clay; arms two small fins; only the head is modeled. At the place where the waist would come are two horizontal bands; above there is elaborate geometric ornament, below, vertical bands and a spiral border. Arms are red and glazed; black line marks arm-hole of chiton. Missing; end of right arm, and kalathos. Head is molded.